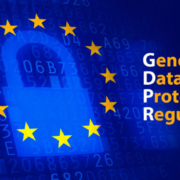 On May 25, 2018, the most significant piece of European data protection legislation to be introduced in 20 years will come into force when the EU’s General Data Protection Regulation (GDPR) replaces the 1995 Data Protection Directive. Althermo is a new company in the world of industrial heat sinks for the air conditioning, refrigeration, process cooling and industrial cooling markets. With its production site in the north east of Italy, a historical area for the manufacture of heat exchangers, the company offers a totally innovative way of considering and approaching the international market.